It's been said that April is the cruelest month but for retailers, it's often December. If stores don't perform well during the make-or-break holiday shopping season, they can end up on the chopping block, just like 68 Macy's stores did Wednesday. Macy's called it "a series of actions to streamline its store portfolio, intensify cost efficiency efforts and execute its real estate strategy" and said the closings (and, of course, firings) would "bolster the company’s strategy to further invest in omnichannel capabilities, improve customer experience and create shareholder value." About 3,900 employees are expected to lose their jobs. The closings are part of about 100 that were originally announced in August 2016, Macy's said. That will leave Macy's with about 630 stores, and the company said it will "opportunistically close approximately 30 additional stores over the next few years as leases or operating covenants expire or sale transactions are completed." Like other retailers, Macy's has been battered by Amazon and other online outlets and it has also been hurt by TJ Maxx, Ross, Marshalls and other discounters that have largely displaces full-service department stores in the minds of many consumers. 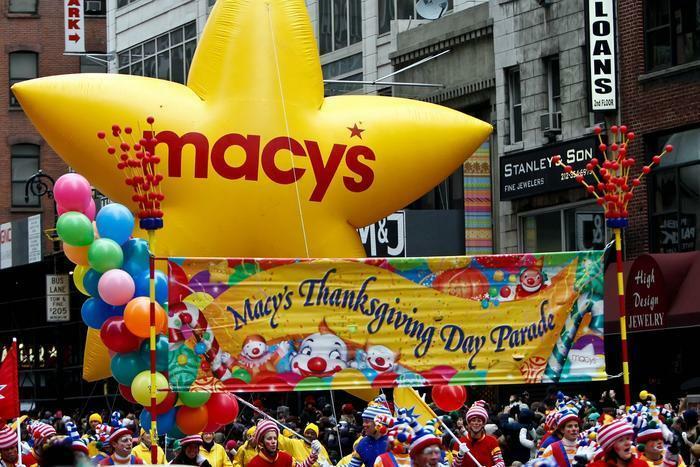 Macy's said it estimates it will lose about $575 million in sales as a result of the closings but said it expects to "retain sales at nearby stores and on macys.com through targeted marketing and merchandising efforts."